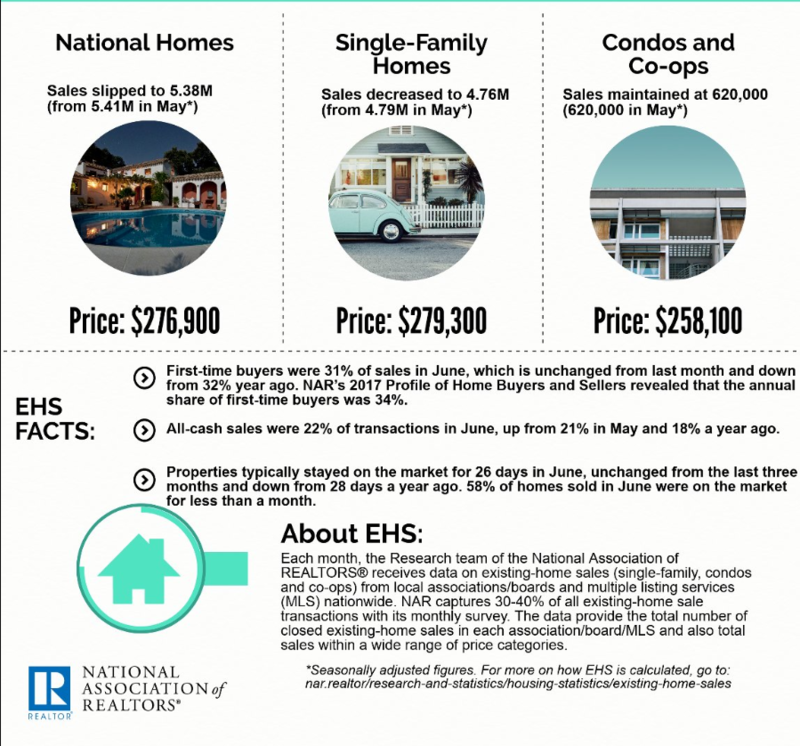 In a press release on Tuesday, the National Association of Realtors reported that homes on the market are in short supply and it’s having an effect on the quantity of sales and also pushing prices to new highs. 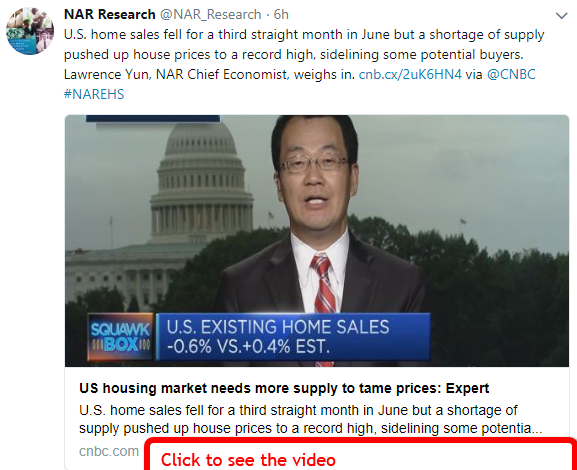 WASHINGTON (July 23, 2018) — Existing-home sales decreased for the third straight month in June, as declines in the South and West exceeded sales gains in the Northeast and Midwest, according to the National Association of Realtors®. The ongoing supply and demand imbalance helped push June’s median sales price to a new all-time high. 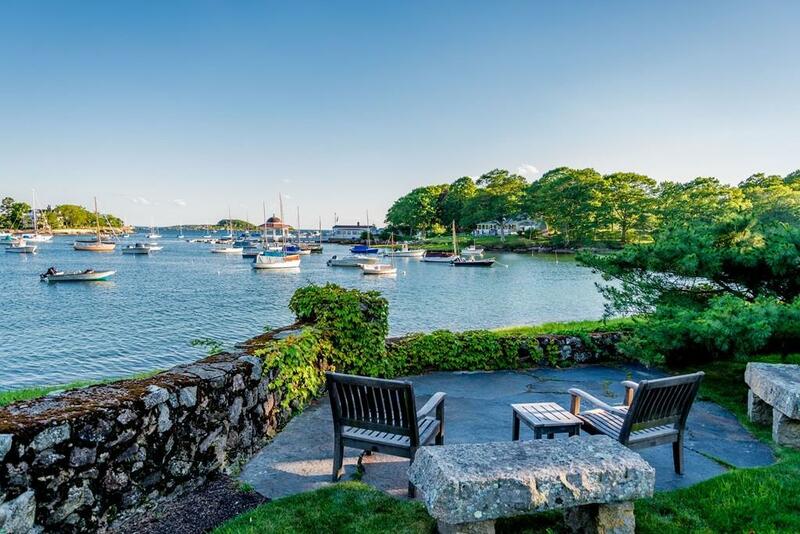 June existing-home sales in the Northeast jumped 5.9 percent to an annual rate of 720,000, but are still 4.0 percent below a year ago. The median price in the Northeast was $305,900, which is up 3.3 percent from June 2017. First-time buyers were 31 percent of sales in June, which is unchanged from last month and down from 32 percent year ago. NAR’s 2017 Profile of Home Buyers and Sellers – released in late 2017 – revealed that the annual share of first-time buyers was 34 percent. All-cash sales were 22 percent of transactions in June, up from 21 percent in May and 18 percent a year ago. Individual investors, who account for many cash sales, purchased 13 percent of homes in June, down from 15 percent in May and unchanged from a year ago. If you have a home that you believe is sub-par for the market, now would be the time to unload the property. With the supply as low as it is, you will be able to sell the property despite the condition. If your horizon to sell was a couple of years out, you may consider moving that up. I am not a fortune teller, but we do have cycles in the economy, why not go out on top. Mortgage rates dropped slightly last week, but overall, they were mostly flat, offering some temporary relief to borrowers. Mixed economic data this week prompted mortgage rates to remain in mostly a holding pattern, says Sam Khater, Freddie Mac’s chief economist. “Manufacturing output and consumer spending showed improvements, but construction activity was a disappointment,” Khater says. Now may be the time to refinance or get pre-approved. I have many qualified lenders I work with. As I mentioned above, the inventory is quite low. 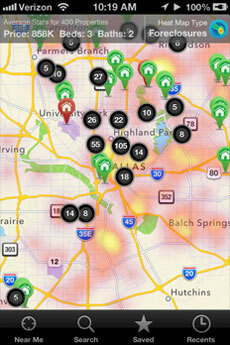 This week, we have five buyers that we are working with to find houses and condos for. We need homes for the following buyers now. The 1st buyer is a small family who can spend up to $450K. They are looking in the following towns:Norton, Mansfield,Wrentham,Millis,Medway,Walpole,Norwood, Canton,Sharon (or close to these). Important items for them is at least 3 baths and 1.5 baths. The next person we are looking for is a buyer who is looking purchase a condo. The buyer can spend about $200k. The condo fee should not exceed 300/month. The ideal location would be Framingham, Natick, Holliston, Ashland but we are “open” to other areas. The next buyer is a 1st time buyer who is looking to purchase in Watertown, Natick or Framingham. This buyer can spend up to 475k. We have a buyer who is looking in Dedham for About 400k – One level living is the most important factor. A young first time buyer looking ideally to be in “The Bridgewaters, Raynham, Norton or Taunton. Their purchase price is up to 325k. 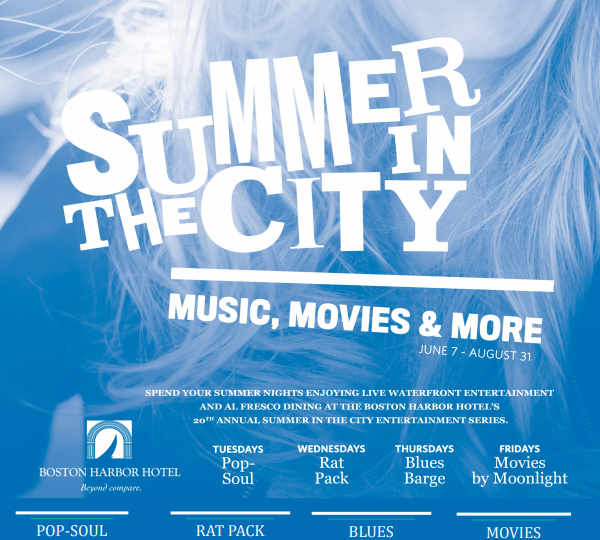 The Boston Harbor Hotel will once again transform its harbor side terrace into an outdoor cinema beneath the stars for its Annual Movies by Moonlight series on the waterfront. The Movies by Moonlight series offers offers guests a chance to revisit Hollywood’s silver screen and modern classics. The cool evening breeze and view from Intrigue Café set the stage for the perfect opportunity to view these classic films under the stars. *Recommended for mature teens and adults. The home is currently on the market for $10,750,000. There are only a handful of homes on the market for more than 10mm. throughout. Modern and efficient utilities. and extraordinary opportunity for the sophisticated buyer. Considering a career change in real estate, eXp realty and my team is growing – Reach out if you are considering a career change.